French for “Triple Dry”, and dating back as far as the 1830’s, dominated by the zesty tang of roasted and sun dried orange peel. A key ingredient in the now famous cocktail, Cosmopolitan, Mixed with 2 parts lemon vodka to one part triple sec combined with one part cranberry juice and the juice of half a lime. 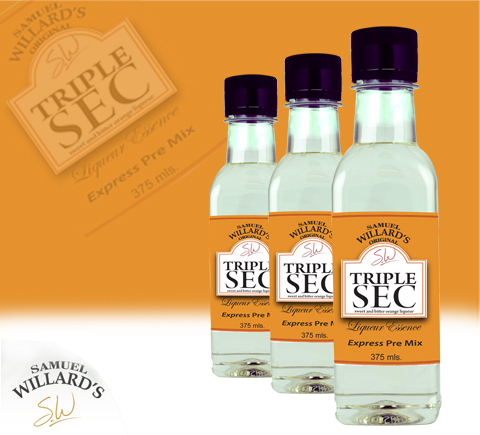 Samuel Willard’s Triple Sec Premixed Base produces 1125mL of spirit from each 375mL bottle.